"Erected in 1967 by the Genesee State Park Commission on the 60th Anniversary of his donation of these lands to the People of the State of New York"
We find that the text of the plaque was written, and the design of the wall section where it rests, were done by a little known individual who devoted his entire career to the Park Commission. 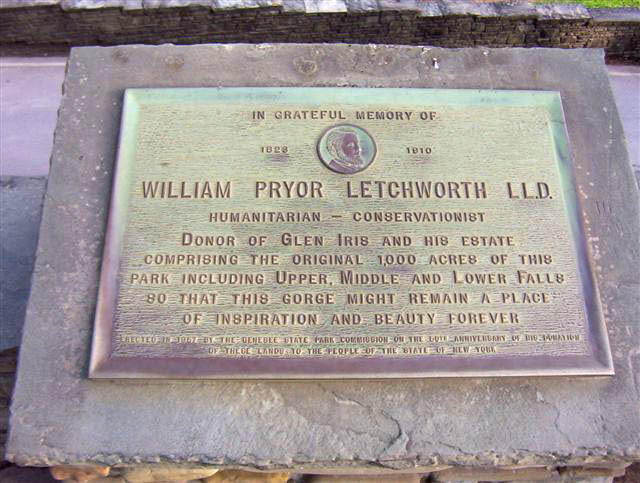 Frederick W Short was Senior Landscape Architect in the park from l935 until 1971 when he retired. Fred passed away in June of 1999 but is fondly remembered by all of us who worked with him. Jan Vrooman, who succeeded Fred, remembers Fred as very professional and the quality of his work was very high. His work began with the CCC when he prepared plans and specifications for park structures, roads, parking lots and campgrounds. He also drew many planting plans for the Lake Ontario State Parkway (another facility that falls under the jurisdiction of the Park Region). Jan state that Fred enjoyed gardening, drawing, painting and - most unusual for such a quiet reserved individual - was his love of flying gliders at the Dansville airport. He made his own Christmas cards with woodcuts he carved himself. Mill Stones preserved by Fred Short Jan says that "I'm sure that a search of the plan files at the park will find hundreds of drawings prepared by Fred." 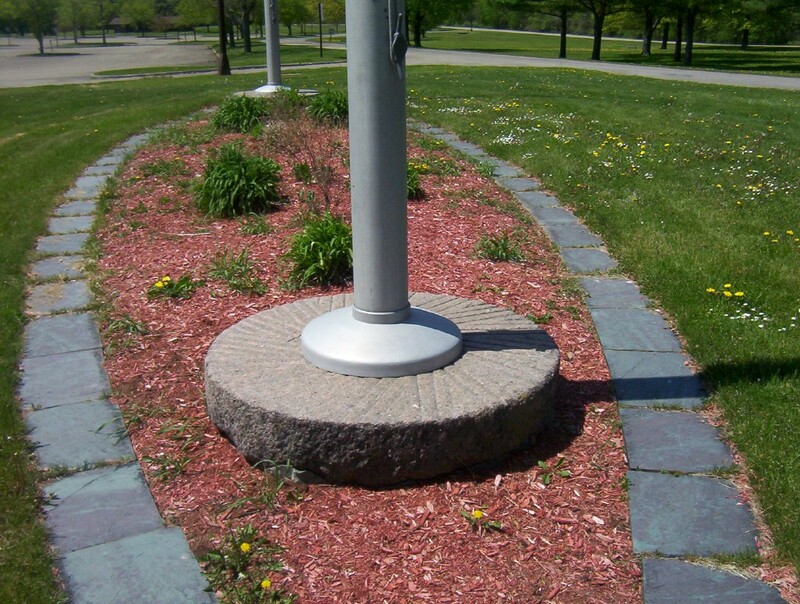 Another park feature that Fred was proud of is the incorporation of the mill stones from the old mill at Gibsonville into the flagpole bases at the Gordon W Harvey swimming pool complex at the north end of the park where they are to this day. These mill stones were originally salvaged by the CCC crew and used as doorsteps at the Mess Hall of the Gibsonville camp. Jan tells us that Fred had a positive affect on everyone who knew him and I would add that he had an equally positive affect on Letchworth State Park and the other facilities of the Park Region. We thank Jan Vrooman for sending us his memories of Fred Short!